I hope you had a great weekend! 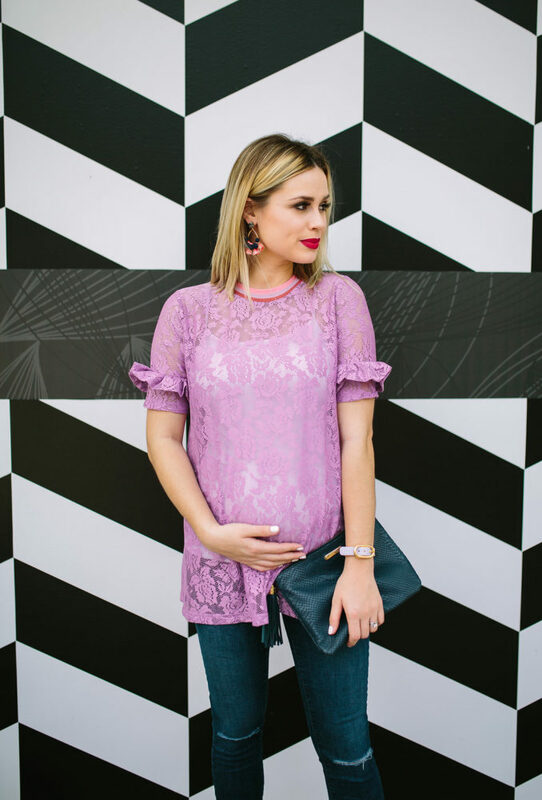 To kick off a brand new week I wanted to share how I styled this fun and oh so adorable lace top I got from ASOS as well as share my top ten things every expecting mama needs, since I have had a lot of you ask. Pregnancy belt. A belt like this may not be needed in the early stages of pregnancy, but as baby and belly grow, this pregnancy belt will be a God sent. I don’t wear my belt around in public, but when I get home, this thing is a life saver. Leggings you can wear every day. You may have to do some looking around to find one’s you like. But I LOVE the one I found a few weeks ago. They’re an excellent quality legging and worth every penny. A good pair of white, black, and blue denim jeans. This one is a bit hard because good (and I mean a GOOD) pair of maternity jeans can be pricey. BUT, you can get away with only a few pairs. Nordstrom Rack also has great maternity denim on sale. There is nothing worse than feeling like a balloon and not feeling good in the clothes you are wearing because it doesn’t fit you properly. Snoogle. Man, I never thought I would say this one… But my snoogle has changed my life when it comes to sleeping during pregnancy. I can even sleep on the couch (overnight, I might add) and sleep like a baby. Belly Oil. I lather myself up every day and do my best to avoid any stretch marks. This stuff works wonders. Coconut Oil is also great too! A prenatal yoga DVD. Now, I am not a yoga fan. It’s too slow for me, and I just can’t. But I have personally reaped the rewards of doing prenatal yoga. The only time I will ever do yoga is when I am pregnant, that is how much it has helped me. A Nightshirt. They are so soft, and they can grow with the belly. Bonus points for also being able to wear it postpartum. Seamless Cami. I love this cami so much; I’ll often wear them around the house with leggings or jeans. The seamless feels great on the belly. Fruit infused water bottle. We all know drinking water is great for mom and baby. But if you’re like me and it’s hard to drink the recommended amount, you’ll love getting a infused water bottle. It adds flavor and makes drinking water a bit less boring. Belly Book to record all your memories. As tedious as it may be to write everything down, you’ll appreciate going back and remembering all the sweet moments. Life goes by so fast, and I love having memory books for my pregnancies, the boys first year, and the kid’s first five years. Thank you so much for stopping by! 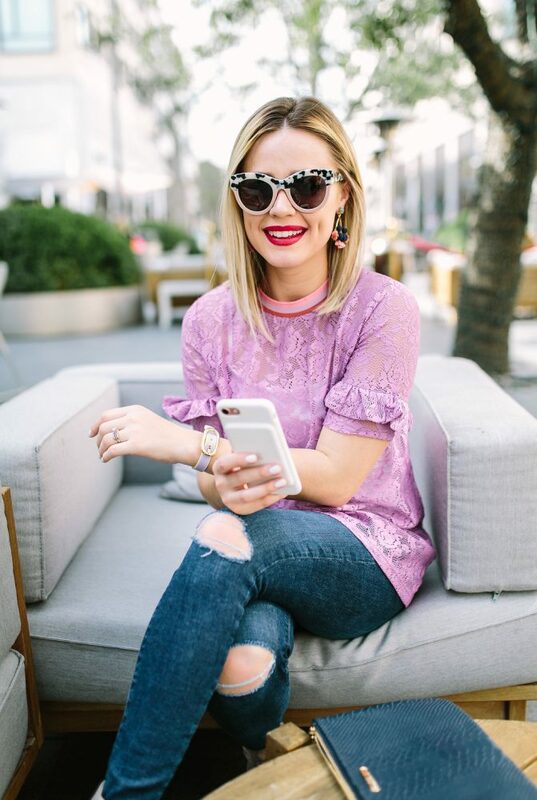 Be sure to check out more fashion posts before you go! Such a gorgeous and super stylish mommy! 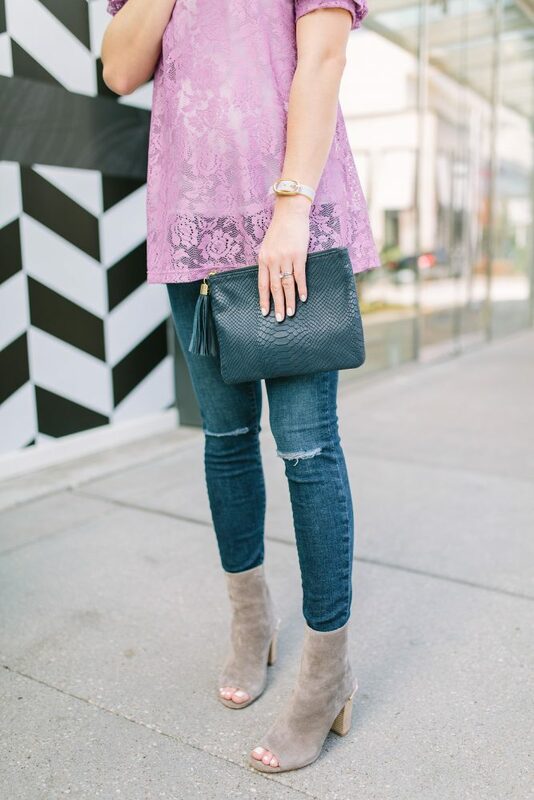 You rock maternity style effortlessly! 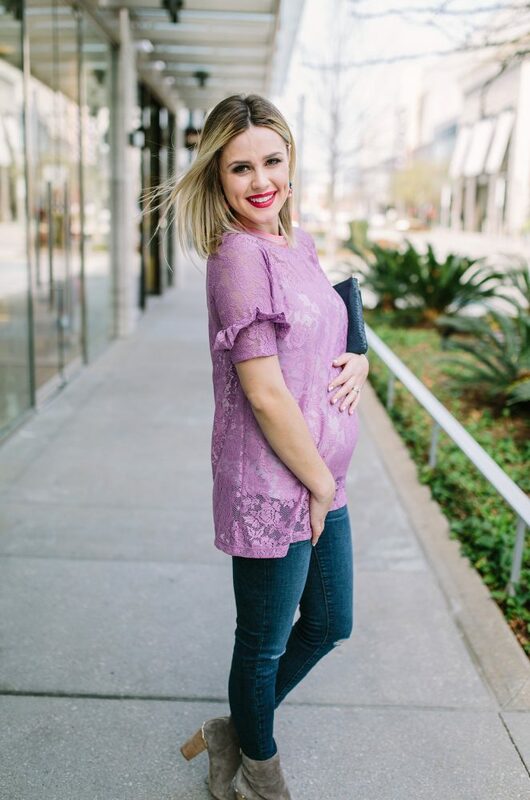 I’m pregnant with my first and am having such a hard time finding cute maternity clothes in stores! I guess I will need to start shopping online more! Random question, but what kind of underwear do you wear under the body con dresses? Also, do you use any self tanner while pregnant? I just discovered your page and blog and I am so happy I have! I am a ftm and everyday I am learning something new about myself or the baby and constantly trying to find inspiration in other women who have gone through this all before and give some awesome yet practical advise. And also when it comes to maternity fashion it can be hard for me. Because I feel like a whale and I want to be cute still! So thank you for your wonderful posts and sweet honesty! ?